Courts • He allegedly told police he killed her because she was disrespectful of his mom and brother. Justin Cade VanCleave had made jokes about killing Amanda Rose Garcia for more than a year before her body was found in the family&apos;s shed, his friends said. So when they visited then-18-year-old VanCleave at his West Valley City home on May 23, they did not believe him when he said he had killed Garcia, his older brother&apos;s girlfriend. "We&apos;d be down in his room, playing a game, and he&apos;d say, &apos;Last night me and Amanda got in a fight, last night Amanda died.&apos; Ten minutes later, Amanda would walk out of her room," said Ray Thomas, VanCleave&apos;s longtime friend, testified during a Wednesday preliminary hearing in 3rd District Court. But on that day, Thomas said, they discovered the 33-year-old woman&apos;s body in the shed, unclothed, with multiple stab wounds. Judge Katie Bernards-Goodman found there was probable cause to bind VanCleave, now 19, over for trial on charges of first-degree felony murder and second-degree felony obstruction of justice after three of his friends, his brother and a West Valley City police detective testified against him. Robert VanCleave, Garcia&apos;s boyfriend and Justin&apos;s older brother, said he and Garcia had had an argument the morning she was killed. He said he left for work and later returned to the home, near 7200 West and 3000 South, where he and Garcia lived with his mother and three brothers. Garcia was not there, even though she and Robert VanCleave had planned to attend a court hearing together in an unrelated criminal case. Justin VanCleave was at home, though, and Robert recalled that his little brother had a bloody cloth bandage on his hand; Robert said he and Justin both used meth, and it is "not out of the norm" for meth users to cut themselves on the bottles used for bongs. "I thought he&apos;d cut his hand on a bottle," Robert VanCleave said. "He was a little wide-eyed but I figured that was because of the meth." Robert VanCleave and his mother went to the Matheson Courthouse in Salt Lake City, suspecting Garcia had taken the bus there. But when Garcia didn&apos;t appear at the courthouse, Robert VanCleave said he and his mother contacted Garcia&apos;s friends and tried to find her. On the same day, Thomas and two of his friends stopped by the VanCleaves&apos; house to visit Justin. Justin VanCleave told them to come inside and said he had just killed Amanda, Thomas said. "For the past couple months, Justin had said he killed Amanda, but he didn&apos;t, so we didn&apos;t believe it," said Christopher Alex Looper, who said Thomas had introduced him to Justin VanCleave two or three months before Garcia was killed. Then Justin VanCleave told his friends to go to the shed and see for themselves, Thomas said. On their way to the shed, "I looked at the ground and saw a trail of blood," Looper said. Thomas said the group went back inside and tried to decide what to do next. "[VanCleave] didn&apos;t have any real plans at all," Thomas said. "He looked like he was just trying to figure something out. ... I&apos;d never seen Justin look like that. It looked like he was lost in his own mind. "... I kept telling him, No, I would not help [him]. Anything else  we&apos;d been friends for a long time. Anything else I would have helped him with," Thomas said. "Murder, no." Justin VanCleave went with Thomas and his two friends to Thomas&apos; house. There, the three friends waited for VanCleave to step away and then asked Thomas&apos; mother to call the police. Meanwhile, Robert VanCleave returned to the house, he said. His brother, Nick VanCleave, mentioned seeing blood on the back porch, and Robert VanCleave said he went to the backyard to find the bloody rag that had been on Justin VanCleave&apos;s hand. "That was concerning to me," Robert VanCleave said. "Why would the rag be outside?" Then, he said, "I went to the only place I hadn&apos;t looked around the house: our shed that&apos;s in the backyard." There he found Amanda lying on the ground, wearing nothing but a shirt and bra that were rolled up to her shoulders. Robert VanCleave cried as he described calling 911 and following their instructions to try CPR. 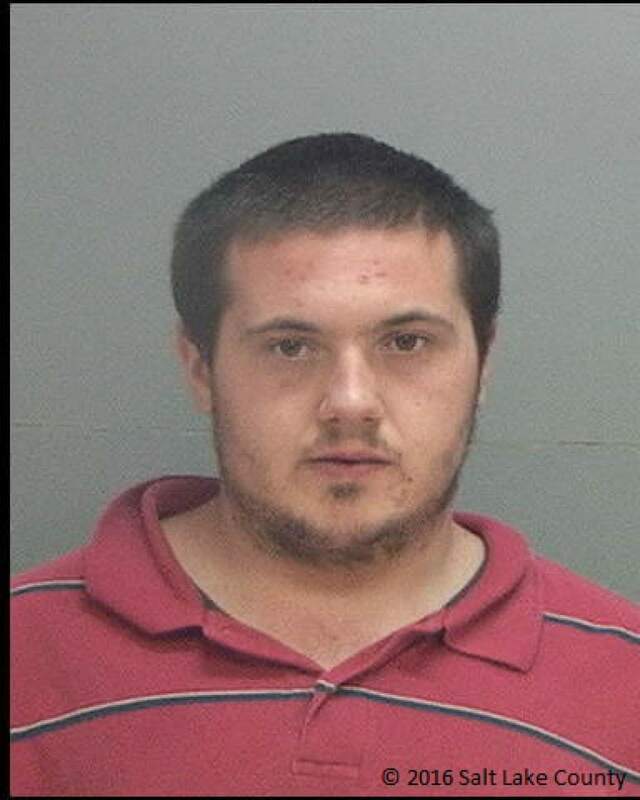 West Valley City Police detective Howard Stanworth said Justin VanCleave later admitted to stabbing Garcia. But he and the other witnesses on Wednesday said VanCleave offered inconsistent and unclear motives. VanCleave initially told police that Garcia was getting ready to shower when an argument broke out and that Garcia advanced on him with a knife, cutting his pinky, Stanworth said. Stanworth said he told VanCleave that if Garcia was in the bathroom, "it was very unlikely she would have a knife." Stanworth said he believed VanCleave cut his hand while stabbing Garcia. Thomas said VanCleave told him that he cut his hand by slamming it in a door; VanCleave later said he cut it on a knife. Looper said that at one point, he asked VanCleave why he killed Garcia. "He told me it was because she was talking bad about his mom and his brother," Looper said. "I told him, that&apos;s no reason to kill someone, and he started crying."